Jason Momoa, popularly known as Khal Drogo among his fans for his epic performance in the television series ‘Game of Thrones’. 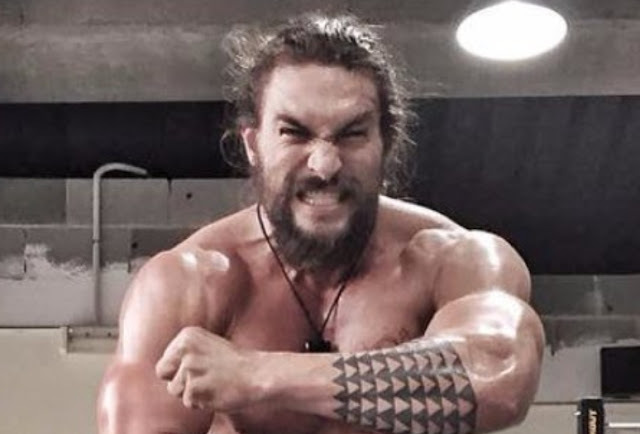 As Aquaman, a character historically played in the comics and in animation as a blonde caucasian, Momoa brings a 1.93m tall, 106kg frame and Hawaiian, Irish and Native American ancestry. It’s a formidable blend, and Snyder’s instinct is obvious the moment Momoa walks into the room: he exudes charisma from every pore.